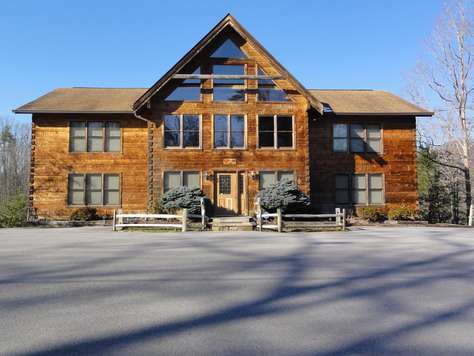 Nestled in the foothills of the Great Smoky Mountains, surrounded by truly majestic views and endless skies, Country Pines Log Home Resort is a private log home community that is situated on 45 private acre estate located between Gatlinburg and Pigeon Forge, in Tennessee. 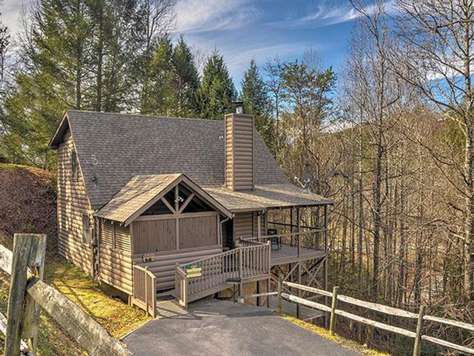 Country Pines offers reasonably priced log cabins in the foothills of the Great Smoky Mountains. Barely five minutes away from the excitement, shopping and superb attractions of Pigeon Forge, including the world – renowned Dollywood, and only 15 minutes away from Gatlinburg, home of Ripley’s Aquarium of the Smokies and a myriad other attractions, Country Pines is an oasis of tranquility. Pines Log Home Resort will be on your Right. Dinner shows you don’t to want to miss are Dixie Stampede, Black Bear Jamboree, Fiddlers Feast, and Hoot-N-Holler. The Smith Brothers Theater, Wonder Works, the New Miracle Theater and other musical theaters are all close by as well. Golf, miniature golf, horseback riding, hiking, outlet malls are all just around the corner. There are plenty of newly opened restaurants for your dining enjoyment to round out your entertainment. All of these attractions are just 5-10 minutes from your cabin. Upon arrival you will have a start up package in your cabin with the following: Toilet Paper, Dishwasher pack for dishwasher, and a packet of coffee. Linens & towels are provided. Kitchens are fully equipped with pots & pans, dishes and silverware. Some of our cabins are pet friendly. There will be a non-refundable $50 pet fee per pet for these cabins. Maximum number of pets allowed are two. There is a weight limit per pet of 25 lbs. or less. This fee does not cover damage, breakage, or extra cleaning caused by the pet. PRIOR PERMISSION MUST BE GRANTED FOR PETS. Specific rules must be followed. Our NO PET homes do not allow pets anywhere on or about the premises.